Get priority and discounted tickets to IMA events. e-Learning portal with tests and certifications. Access to the IMA e-Learning portal with tests and certifications. The Iraqi Medical Association (IMA-UK) is an organisation that promotes communication & networking between Iraqi Doctors & Health care professionals. Most of its members are based in the UK; however, it has links with Iraqi doctors all over the World. 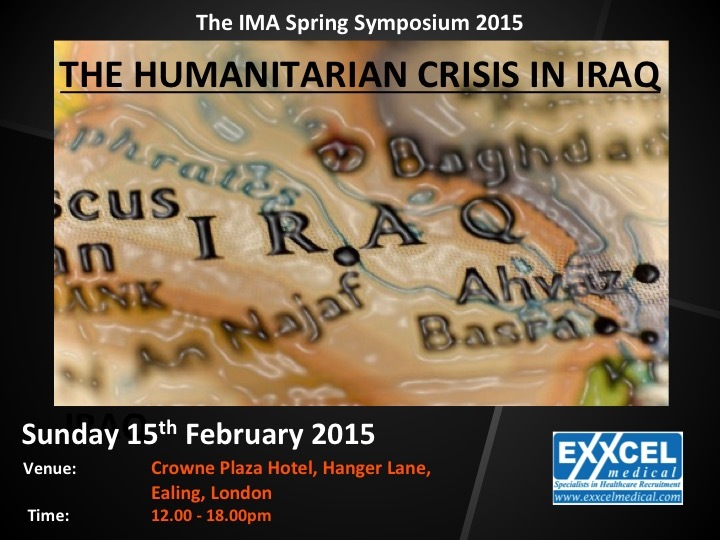 IMA Spring Symposium - book your place now! IMA Spring Symposium- Save the date! Free event! Please book your tickets to help us predict the number of people attending. Learn all about Tibial plateau fractures, how they happen and how to manage them! Sepsis is a whole body inflammatory response as a consequence to infection and is potentially fatal. Copyright 2013 © IMA UK. All rights reserved. Alternatively please REGISTER: you will be given the option to REGISTER FOR FREE, or sign up to be a FULL MEMBER to benefit from the member-only discount.